This is the story of a journey the author's grandfather made as a young man. 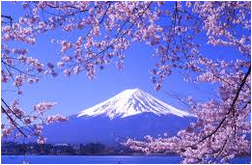 He left his home in Japan to see the world. 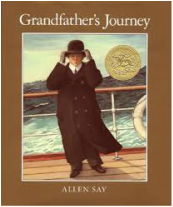 Click on the book cover to hear a read-aloud of Grandfather's Journey. Click on the document to read Grandfather's Journey. 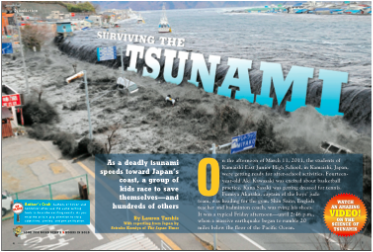 As a deadly tsunami speeds toward Japan's coast, a group of kids race to save themselves...and hundreds of others. Tens of thousands of immigrants traveling across the Pacific Ocean from 1910-1940 were processed at Angel Island before they could enter the United States.